Since the last minute of the last readathon in January, I’ve been counting down to the next one. And now that we’re a little more than a month away from 24in48 (Summer ’16) Edition, it’s time to take this countdown public. The next readathon will be on July 23-24, 2016! Officially, we’re 40 days away from the start of 24in48, and I personally could not be more excited. If you’re new to 24in48, this is the basic gist: Beginning at 12:01am on Saturday morning and running through 11:59pm on Sunday night, readers read for 24 hours out of that 48 hour period. You can split that up however you’d like: 20 hours on Saturday, 4 hours on Sunday; 12 hours each day; six 4 hour sessions with 4 hour breaks in between; whatever you’d like. And that’s it. The format never changes but it’s always an adventure. Have more questions? There’s an FAQ page for that. Ready to join? Fill out the form below and feel free to list any and all of the places you’ll be hanging out online during the ‘thon. The participant list has it’s own separate home this time. If your entry doesn’t immediately pop in to the spreadsheet, give it a few minutes to populate. Speaking of all the places to ‘thon online, I have a few new social profiles to announce. 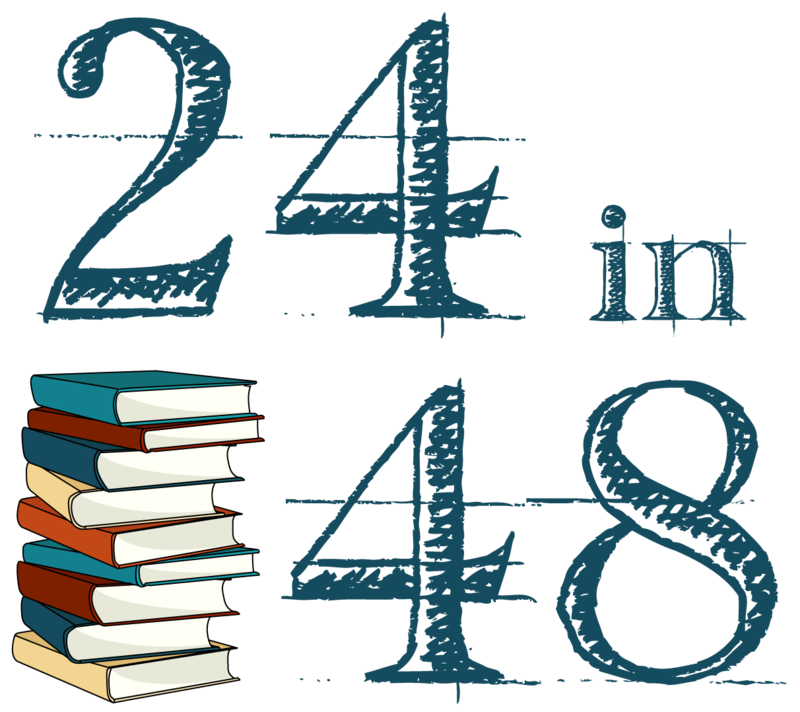 In addition to Twitter, 24in48 also has a dedicated Instagram handle now (@24in48readathon) AND a Litsy handle (@24in48). The official hashtag is #24in48 (or tag @24in48 in Litsy since they’re a baby social platform and don’t quite have their hashtags ready for launch yet). Reblogged this on Secret Lives of Fiction Lovers. Just found about this from Abby the Librarians! Perfect timing, and a great way to clear out the TBR pile! Than you so much!